This stunning story is the sequel to author Richard D. Apgar’s first book, picking up the action after New Mexico successfully secedes from the United States. Texans and other patriots orchestrate an armed rebellion to force New Mexico back into the Union. The novel For Richard Stands is told with comic reference and reverence, honoring all American veterans as it salutes this country that still allows ancestral basic freedoms, such as freedom of speech and the right to bear arms. 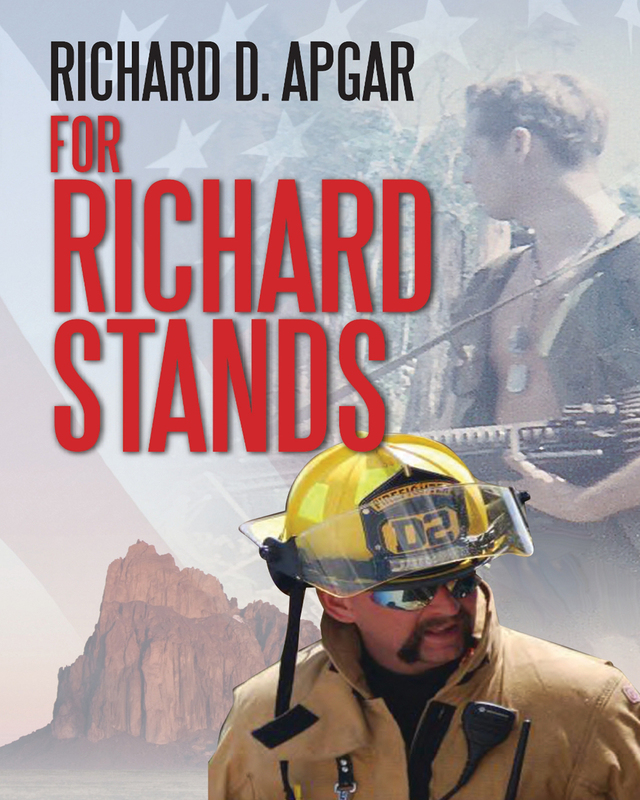 Richard Stands comes from a long line of U.S. military veterans and volunteer firefighters. In this modern-day American Civil War story, Richard finds himself firmly entrenched on the opposite side of the fight from his fireman buddy, Eliot Thomas. Richard and Eliot are described as fearless firefighters, even in the face of death. Both characters are proud and defiant, and live their lives following the true American spirit of freedom and liberty, even though the current situation forces a violent confrontation, resulting in high stakes and devastating consequences. In this post 9/11 world, filled with laws usurping basic American civil liberties and freedoms, two separate classes emerge in America. The fight is on. Keywords:- War, Rebellion, Intrigue, Comedy, Adventure, Moralistic, Political. Genres:- Fiction, Sagas, War & Military.